4 Tinnitus Hearing Loss – What is the Long Term Effects of Tinnitus? 5.2 What Causes Hearing Loss in Children? 5.3 What Can Be Done? Noise and hearing loss are closely related, especially in cases of noise-induced (NIHL), which is a type of sensorineural hearing loss. According to the National Institute on Deafness and Other Communication Disorders, this kind of hearing loss happens when the small sensory cells in the inner ear get damaged from too much exposure to loud noises. NIHL may occur two ways: First, when you’re exposed to a singular, intense and sudden sound, such as an explosion, and secondly, when you’re constantly exposed to loud noises over a period of time, such as when you work around noisy machinery or when you listen to loud music using headphones. 1. How serious is noise-related hearing loss? Around 40 million Americans experience hearing loss, but of that number, 10 million suffer from noise-induced hearing loss. The condition becomes permanent when the microscopic sensory hair cells inside the inner ear are damaged from the barrage of loud noises. If you could look inside your ear, you’d see that different groups of sensory hair cells perceive different frequencies of sound (known as rate of vibrations). If you have no inner ear sensory problems, you should be able to hear frequencies ranging from 20Hz to 20,000 Hz—which is anything as soft as a whisper and louder. In cases of noise and hearing loss, the ear’s hair cells may get damaged or broken. Once damaged, these nerve cells cannot grow back, and if a majority of them get damaged, then there are less cells to perceive certain frequencies, causing hearing loss. Often the damage is to the cochlea—the ear’s auditory portion which “hears” sounds—suffers from too much loud noise. 2. What causes noise-induced hearing loss? If the sounds you’re exposed to exceed a certain measure of decibels (units of sound) and you are exposed to certain loud sounds for an extended period of time, you could be at risk for noise-induced hearing loss. 3. What’s too loud then? Think of it this way: A normal conversation has a sound level of around 60 decibels. The hum of a refrigerator is approximately 45 decibels. A louder sound such as the noise from road traffic is about 85 decibels while the noise from motorcycles ranges between 120 to 150 decibels. When you are exposed to long periods or repeated sounds at or above 85 decibels, you are at risk for noise-induced hearing loss. That’s because the decibel level for these types of sounds are strong enough to cause damage to the ear’s sensory hair cells. 4. Is there such a thing as music hearing loss? There’s no medical term called “music hearing loss.” However, music and hearing loss from exposure to loud music closely related. In fact, studies by the Scientific Committee on Emerging and Newly Identified Health Risks revealed that if you listen to music on high volume settings for an hour a day every week, you expose yourself to the noise equivalent of an airplane taking off nearby! If you are fond of listening to loud music often, this can cause serious inner ear damage. The risk goes up if you frequently listen to loud music using headphones. While it may not have immediate effect, especially if you’re still young, listening to loud music puts you at risk for hearing loss later in life. There are several musicians who have hearing problems because of extended periods of time listening and being surrounded by loud music. It’s not uncommon for a person with these types of listening habits to suffer from reduced hearing, even tinnitus, which is a ringing in the ears. Have you checked if you’ve developed music-related hearing loss? If your hearing has become distorted, if sounds appear muffled to you, and you have a hard time understanding someone speak, then you may have symptoms of noise-induced hearing loss. You can actually prevent noise-induced hearing loss. All it takes is an understanding of noise levels and some general good health habits that can help protect your hearing. One of the best ways to prevent sudden hearing loss, hearing loss in one ear, and other symptoms of sensorineural hearing loss is by knowing which noises are above 85 decibels. Limit the time you listen to loud music. If you believe you have slight hearing loss, schedule a hearing test by an audiologist, a healthcare professional who specializes in dealing with noise and hearing loss. Hearing loss treatment may vary from person to person, depending on the seriousness of the disease and the individual’s own condition. Sometimes, hearing loss is a result from tinnitus, but unfortunately, there is no cure-all treatment that will stop all the symptoms of tinnitus. Lifestyle changes, natural cure for tinnitus, tinnitus medication, tinnitus surgery, and tinnitus retraining therapy. In most cases, adopting lifestyle changes can help cure tinnitus. The most common forms of lifestyle changes are tinnitus masking, and using a hearing aid. Tinnitus maskers can be any type of sound or noise that is used to mask the internal sounds or ringing in the ears and are used in many hearing loss treatment programs. Some examples of tinnitus maskers are fans, radios, and relaxing music. Hearing aids are also used for tinnitus treatment. Hearing aids work by amplifying the external sounds, which make the internal sounds less noticeable. Medication as a treatment for hearing loss is often used when lifestyle changes and natural cures have not been effective. Anyone resorting to medicine should do so with caution as hearing loss treatment medication is known to have unpleasant side effects. It is always best to consult with your doctor before choosing to take the medicine route of treatment. For those that have determined that medication is necessary, there are three types that are most often used; Xanax, anti-depressants, and anti-histamines. The type of medicine that is necessary is dependent on the severity of the tinnitus of the individual. The way this type of therapy works is by having people counsel the patient. The main goal is for the patient to end their reaction to the different sounds of tinnitus. The way that this is accomplished is by having the counsellor explain to the patient how varying types of retraining and sound enrichment will benefit them. This treatment of hearing loss takes on average of 1 to 2 years to officially complete, but the rewards have been there for those who have done the full therapy. Thousands of people have completely cured their tinnitus without the use of medication or expensive treatment methods. They used a hearing loss treatment guide called Tinnitus Miracle to eliminate all tinnitus symptoms by using only natural methods. Curing tinnitus is possible for anyone, but only if you know how. Those who enjoy going out and seeing their favourite band or singer play live; often experience a ringing in their ears when the concert is over. The “ringing” can be a high pitched whine or squeal. Some people have also described hearing “white noise” which is like the sound of static when the volume of the music is really loud or they are too close to the concert speakers. The ringing in the ears can sometimes last a day or two after the concert is over. It is not a serious condition but, it can be extremely annoying. The answer to why your ears ring after you have attended a concert is simple; you have damaged your ears subjecting yourself to the load music and the screams of the audience. When exposed to load noises, the hair cells in the inner ear become damaged causing the ringing sound. Those hair cells produce nerve signals that travel to the auditory area of the brain when a sound is heard. Normally, these cells only fire up when they are stimulated by a sound. Unfortunately, when the cells have experienced trauma, they fire up on their own causing the” ringing in the ear“. Obviously, the answer to this problem is to not avoid concerts. We all need a little fun in life. Plus, going to a few concerts a year will not permanently cause a ringing in your ears. Most likely within a few days your ears will heal and the ringing will subside. But, there are some things that you can do to avoid having to deal with this annoying affliction. Some regular concert goers use ear plugs. Using ear plugs you still are able to experience the thrill and the music of the concert but, you are giving your ears an extra layer of protection. Some ear plugs are even so small that no one will even be aware that you are wearing them. Some band members have learned to protect their hearing from years worth of exposure to loud music by wearing ear plugs every time they sit down to their instrument. You should also try to avoid close proximity to the speakers. The closer to the speakers you are, the greater the noise, resulting in greater ear damage. However, once you have damaged your hearing from attending too many loud concerts, there really is no way to cure it completely. The only thing you can do is live with it until it goes away. Normally, the hair cells in the inner ear will heal themselves, but it is possible for them to break off entirely causing permanent damage to your hearing. Rarely do people experience permanent ear damage from attending concerts. It normally takes extended exposure to loud noises to cause permanent damage. How can you tell if you are exposing your ears to something that is too loud? If you are within three feet of someone and you have to raise your voice for the person to hear you talking, the noise level within the environment is too loud. Sound louder the 110 decibels will damage your hearing. It is recommended that you do not expose your ears to a noise level over 85 decibels which is roughly the sound of a lawn mower. Tinnitus Hearing Loss – What is the Long Term Effects of Tinnitus? What is the potential of suffering long term tinnitus hearing loss? The risk is great and this is very much possible, especially if you won’t do anything to alleviate yourself from the symptoms that you are experiencing due to this condition. When you have tinnitus, you will hear constant ringing on your ears. Although the sound may be normal, especially after you have come out from a noisy place or you have listened to a loud music, you must get alarmed when the ringing does not stop longer than usual. If it exceeds a day, then you should start researching about your options and get the necessary help the next day after the noise fails to stop. There are many people who experience the problem and are actually troubled by it who choose not to report the problem or get help for its treatment. These are the people who will likely get permanent tinnitus hearing loss. It is a good thing that continuous research and studies about the matter brought lots of choices for patients on how to deal with it. You just have to come out and seek help before it gets too late and before the condition can no longer be cured even through home cures, homeopathic sprays or acupuncture. The ringing in your ears is your body’s way to tell you that something is wrong with it. This is a clear indication that one or more parts of your system are malfunctioning. Tinnitus is not a disorder on its own. This is only a symptom of the other problems that are being experienced by your other body parts. This can also arise as a side effect of other disorders or the medications that you are taking to get treated. This is the reason why the right professional is the best person to help you get though this stressful condition. Constant ringing in the ears can really become disturbing, especially if you work around many people and you need to give full attention to your clients and all those around you. This can hinder your growth and success in life if you will allow it to continue without doing anything about it. By going to the doctor, they can assess your case and do the necessary physical exams before they recommend the right treatment for your tinnitus hearing loss. You can also try other proven effective medications, with your doctor’s approval, such as taking the right supplements, using homeopathic spray or resorting to traditional methods like acupuncture. The problem may be alarming because this can lead to permanent hearing loss if left untreated, but this is not life threatening. You need to get treated in order to reduce the ringing that you hear and hopefully, to eliminate this with the help of the right methods, treatments and, of course, the experts who will handle your case. Once treated, you have to be very cautious on the things that you do or medications that you take. You have to stay away from the factors that have caused your tinnitus, to lessen the possibility that this may happen again. Hearing loss does not only affect people approaching old age. It is also prevalent in children. In fact, hearing loss is being detected in children at a younger age than ever before. The most common type of hearing loss among children is called sensorineural which occurs due to damage of the inner ear. The damage can be caused by an infection, injury or most commonly, through exposure to loud noise. This type of damage cannot be repaired. While sensorineural hearing loss does not permanently improve, it also does not get any worse. It involves a lowering in the ability to hear soft sounds, to hear clearly and can affect how well you understand speech. Typically, this type of hearing loss can be improved through the use of a hearing aid. Other types of hearing loss are conductive and mixed. Conductive hearing loss is when sounds are not conducted to the inner ear properly and can often be corrected with surgery. Mixed hearing loss involves both sensorineural and conductive. A hearing professional can assess the type and degree of hearing loss your child has. Most types of hearing loss are not genetic but are noise-induced, brought on through outside noise that is too loud. There are noises that you have no control over and then there are noises that you create yourself. Loud music, particularly music played directly into the ear via ear buds, is one way that kids are getting exposed to noise that can damage the ears. A recent study in Australia found that children as young as three have shown signs of permanent hearing loss due to listening to loud music. Do you know that listening to music that is too loud for more than 5 to 10 minutes can produce hearing damage? Another similar cause of hearing loss is playing musical instruments too loudly. It is found that playing and practicing in a school band or orchestra can actually cause hearing loss. This is true when the music is practiced in an enclosed area. The National Association for Music Education (MENC) even issued a statement that educators need to recognize music as a cause of noise-induced hearing loss. The most important thing you can do as a parent is to become aware of the hazards of noise-induced hearing loss. Familiarize yourself with the causes of hearing loss and teach your children to take preventative measures. First, try to ensure that you enforce strict volume guidelines on things such as iPod and other listening devices. Listen to the device yourself to determine what you feel are safe volume levels. Get your children to use earplugs. Just like the helmet helps keep a child safe and protected when riding a bicycle, earplugs can help keep ears safe from loud noises. Ensure that your child wears the earplugs when practicing in the band or even when mowing the lawn. The lesson here is to be forewarned. Use precautions and common sense to set limits for children. Teach them the importance of taking care of their hearing and help them understand when noise levels are too loud. We can help you with hearing loss tinnitus vertigo. Coping with hearing loss tinnitus vertigo without lend a hand from the mavens might be in reality irritating and annoying. Whether you are affected by delicate to severe noise on your ears, this situation can force you loopy some of the time. Possibly you have tried hearing loss tinnitus vertigo choices after remedies to do away with tinnitus and failed, but don’t lose hope as a consequence of selection hearing loss tinnitus vertigo is another choice for you. Finding the correct treatment in an effort to work for you is one of the best ways to regulate and maintain hearing loss tinnitus vertigo. 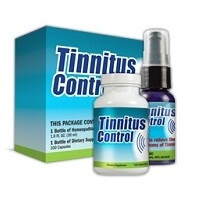 Choice tinnitus remedy is one option that means you can take care of hearing loss tinnitus vertigo. Instead of preventing tinnitus that leads to inflammation and extra rigidity, accepting that you have tinnitus and finding out the highest way on how one can maintain hearing loss tinnitus vertigo will mean you can are living normally. Tinnitus needs treatment and you need to have patience and a positive outlook to defeat this very annoying noise to your ears. You should discover tactics to control tinnitus and do not let the condition take keep watch over you and intrude along with your existence and day by means of day activities. Alternative approaches to hearing loss tinnitus vertigo are another option so that you can keep an eye fixed on and prevent tinnitus. There are people who favour alternative hearing loss tinnitus vertigo answers; however, it could be very important have correct scientific test up relating to hearing loss tinnitus vertigo for you to recognise what you’re dealing with. There are a lot of hearing loss tinnitus vertigo choices available for ringing ears like remedies, homeopathic treatments, natural remedy, acupuncture, reflexology, meditation and so much more. With a huge variety of hearing loss tinnitus vertigo solutions, there isn’t any reason for you to lose wish find the fitting remedy so that you can paintings for you. Tinnitus can rob you of your lifestyles and will control your lifestyles if you’ll not take action to be looking for out the best treatment so that they can work for you. The unwanted ringing, buzzing or humming on your ears is a continuing annoyance that can intervene along with your process, research and different activities that you in so many cases do every day. Various tactics let you live with hearing loss tinnitus vertigo, even if the facility to tolerate it varies from an individual to a person. Incessantly, a listening to assist is helping suppress tinnitus. More than a few combinations of vitamins or dietary supplements are on the market for tinnitus. A majority of these uses a mixture of antioxidant vitamins or supplements which have been shown to sluggish age-similar listening to loss in animal studies and a couple of human studies. Various small pharmaceutical firms have begun trying out medications that may goal particular types of tinnitus, similar to a drug that would particularly alleviate typewriter tinnitus. If such trials turn out a hit, many medical doctors imagine that the most important drug firms that thus far have shied away from tinnitus research may start to be mindful of hearing loss tinnitus vertigo.